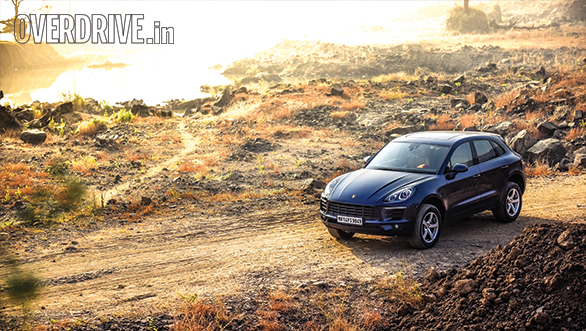 When the Porsche Macan debuted in India in 2014, it had the potential to be something amazing. The smaller brother to the Cayenne SUV promised near sportscar handling if international reviews were to be believed but also practical ground clearance and suspension with the potential of eating up the worst our roads could offer. Sadly, the magic never happened. Porsche priced the Macan into obscurity at launch, and to date the number of Macans I've seen on the road can be counted on one hand. The Cayenne on the other hand is Porsche's most popular model by far, which makes sense given that the Cayenne diesel starts at Rs 7 lakh lower than the Rs 1.06-crore Macan S Diesel. In a market where bigger means better and back seat comfort is a priority, the pricey Macan never really had a chance. 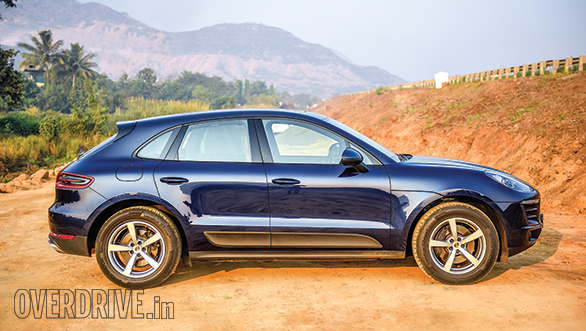 Now though, that may change with the introduction of the 4-cylinder Macan R4, which at a starting price of Rs 76.8 lakh ex-Maharashtra, is the most affordable Porsche by a big margin. Let's see what's what. The thought of a 4-cylinder in a Porsche would have been shocking just a year ago, but the new 718 Boxster and Cayman have changed that. It helps when you consider that today's base Macan makes just 3PS less power than a Boxster from 2010. With 252PS and 370Nm from its 2.0-litre direct-injection turbo petrol, the Macan is far from underpowered. Like most modern turbocharged petrols, it offers a smooth and linear surge of power with minimal turbo lag. There are quite a few cars in the market that have 2.0-litre turbo petrols putting out similar power figures, but the Macan is the fastest of the lot. At 1,770kg (unladen), the Macan is one of the lightest luxury SUVs around but it's still heavier than the 240PS Jaguar XE. So how does the Macan clock an incredible 6.7s run from 0-100kmph while the XE takes 7.2s? The answer lies in the magical 7-speed dual-clutch gearbox Porsche calls PDK. Every experience with a PDK gearbox leaves me speechless at just how smart, smooth and blazing fast it is. That the base Macan offers a PDK as standard is great because it's a vital part of the modern Porsche experience. Interestingly, PDK here doesn't have a Sport mode, only a manual shift option. That's because the gearbox is so intelligent that it automatically adapts to the driver's throttle inputs. Aggressive throttle applications promote the box to hold lower gears and higher revs. Back off and the box quickly settles back into calmer and lower shift points. The execution is perfect and leaves one less mode for the driver to select. Our car came with the optional Sport Chrono package that brings with it that lovely dash-mounted clock, an extra drive mode named Sport Plus (in addition to Sport, there's no Eco) and most importantly, launch control. As always, the system is delightfully easy to use and launches the car off the line with startling violence. However, Porsche claims just a 0.2s advantage with launch control, so even the base Macan R4 should run sub 7s 0-100kmph times. Top speed is quoted at a very believable 229kmph. Brisk acceleration and a high top speed are important, but Porsche's are about much more than raw speed. After all, there are plenty of fast luxury SUVs at this price point, some even faster, while many others are cheaper than the R4. No, the reason you fork over the extra cash for a Porsche has always been the driving experience. In that sense, even the base Macan is nothing short of sensational. What immediately grabs your attention is the way it steers. It's strange to have the front wheels respond with such urgency to steering inputs while sitting high and mighty in the typical SUV driving position. This makes sense given that the Macan uses a quicker steering rack than its sibling the Q5 (14.3:1 vs 15.9:1). Even the feel from the steering is very impressive for an electromechanical unit and miles ahead of the lifeless Audi system. No surprise again, Porsche makes the best electromechanical steering systems I've ever experienced and once again, the base car benefits. These near sportscar-like responses from the steering wheel are pleasantly offset by the fact that ground clearance is of no concern at all and even the ride quality is quite sorted. The ride has an air of firmness, but only bad potholes or sudden surface height changes produce a thud from the suspension. It's not plush but it's easily comfortable for daily use. Handling, however, is eye-opening for an SUV. Direction changes are almost unreasonably quick, and the all-wheel drive system ensures nearly endless grip. 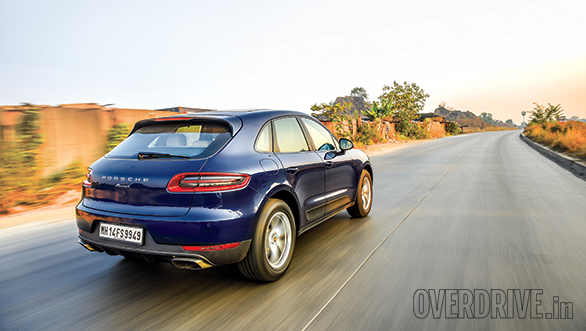 The Macan can blast through corners at speeds that would put many luxury sedans to shame. The brakes have a firm feel at the pedal for the initial movement but require a bit of force to shed speed quickly. Press down though, and what performance! 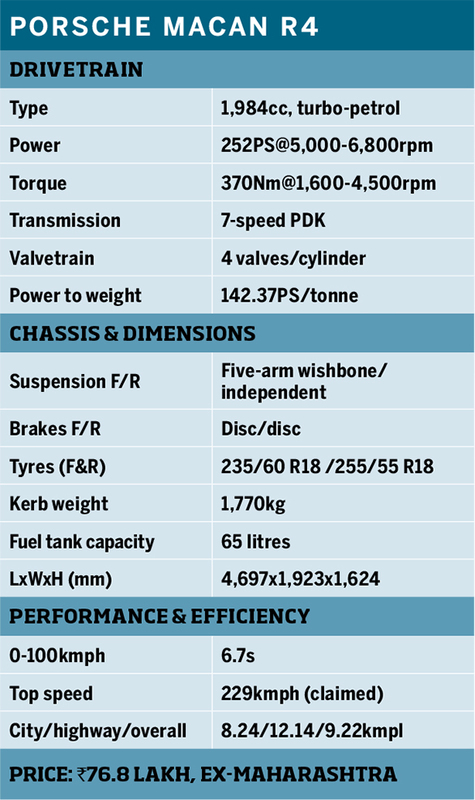 The Macan stops from 100-0kmph in our braking test in 2.8s, covering just 38.4m, remarkable for such a heavy vehicle. In fact, the Macan even has decent off-road capability with an off-road mode that sets up the gearbox and throttle for appropriate response. Call me crazy, but it'd feel too painful for me to take my lovely Porsche into the dirt  this machine is meant for the road! So much so, I have a suspicion that the Macan won't be too out of its depth even at a racetrack, so controlled are the body movements. And the joy of it all is that when you're done, you can have a stress-free drive home, not caring about speed breakers and potholes.The ride home will be very pleasant too because the Macan has a plush cabin with a huge array of buttons on the centre console, although many will remain blank if you aren't generous with the options list. More on that in a bit. The touchscreen system is crisp, easy to use and supports Android Auto/Apple CarPlay. Optional electrically adjustable leather seats hold you snug while the optional Bose sound system is a lovely companion, especially since this engine doesn't have a very sporty exhaust note. Of course, there's an optional exhaust system to remedy that as well. 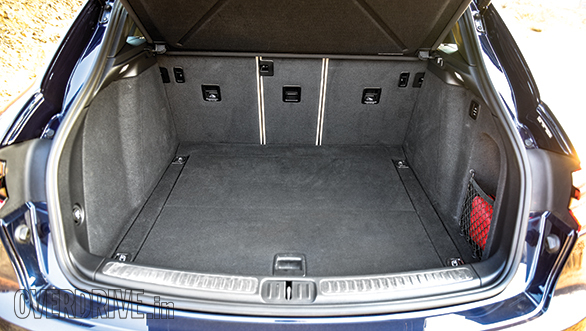 Rear space is just about adequate for two tall passengers, but the boot is large and beneath is it a neatly recessed space saver spare tyre. Visually, the Macan is a treat as well, far more handsome and well-proportioned than its bigger brother. It has beautifully detailed tail lamps and wide haunches typical of the Porsche sportscar family. The face is handsome too, but you'll have to pay more for the smart LED headlamps with the four-spot DRLs  standard lamps are halogens. The Macan is a better sportscar than an SUV. It's not a great chauffeur-driven car but certainly is a rewarding place for the driver. Starting at Rs 76.8 lakh ex-Maharashtra, nothing else at this price offers such mix of driver involvement and India readiness. The GLA 45 AMG is faster and great value, but the suspension is stiffer than many actual sportscars. That the Macan is a fantastic handler is to be expected the moment you see the badge in the bonnet. What surprised me was just how potent the 2.0-litre engine is. Performance is seriously brisk, so much so that even the base Macan is a fantastic driver's car. At first, it doesn't seem like great value, especially going by the standard features list and pricey options. 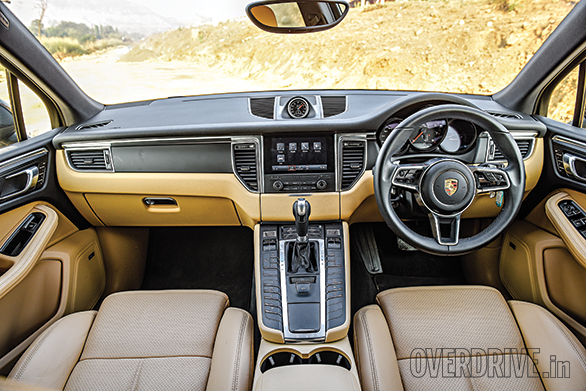 However, the engineering that commands this premium is evident when you drive the Macan.